I visited my good friend, Ömer, in Köln on this very same day, exactly one year ago in June. As I waited for him to arrive, I stood in the plaza outside the Hauptbahnhof (Central Station). I looked up, and saw that the sun was beginning to poke through the patchy cumulus cloud layer, which had cast a cool grey pall over the city by the Rhein. 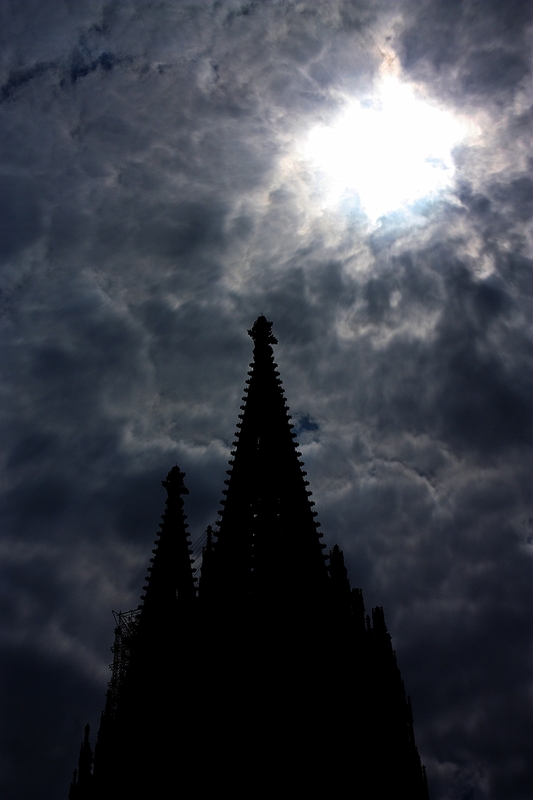 In minutes, the skies appeared to clear just enough above the Cathedral. Heckuva way to mark the longest day of the year! I made the photo on northern summer solstice, 21 June 2010. This post is published originally on Fotoeins Fotopress (fotoeins.com).